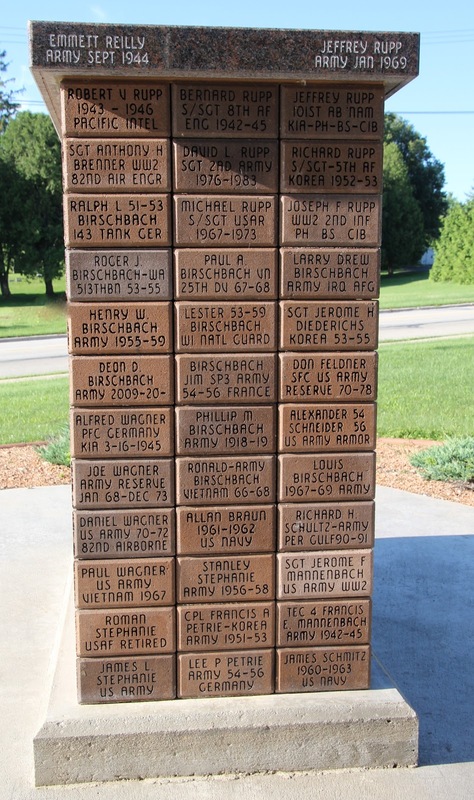 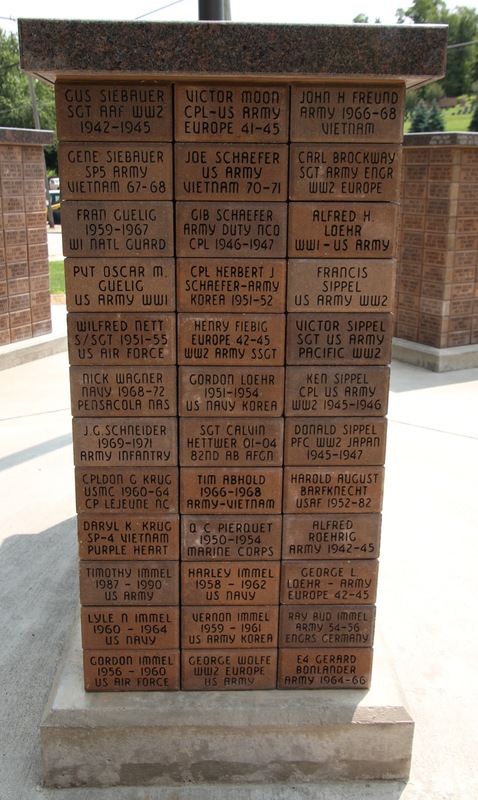 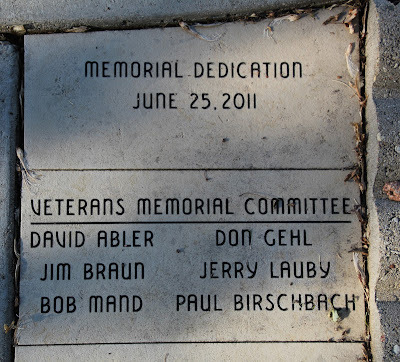 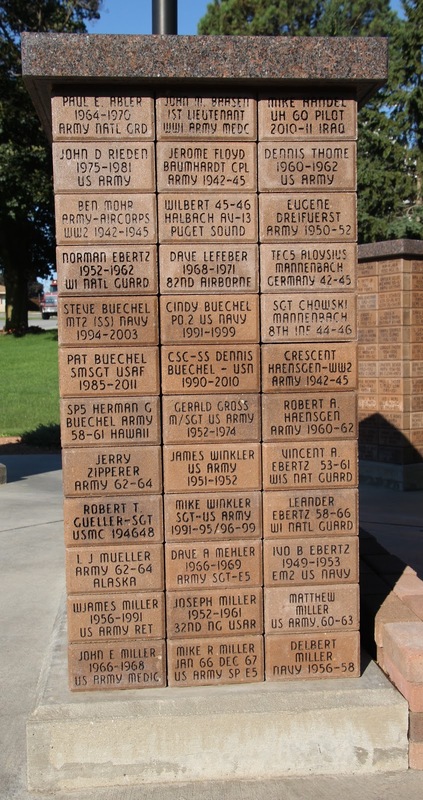 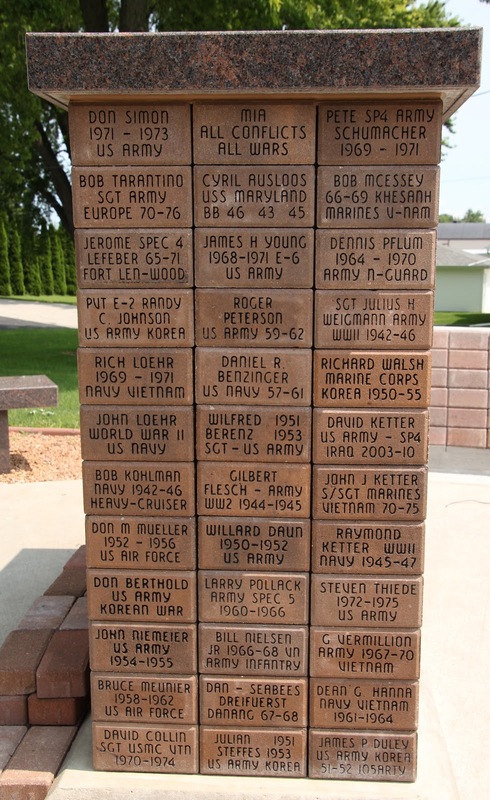 The memorial is located on the grounds of American Legion Abler-Engel Post 454, and is accessible from westbound Fond du Lac Street / County Highway CCC, just east of its intersection with Evergreen Road / County Highway W, at or near 101 Fond du Lac Street, Mt. 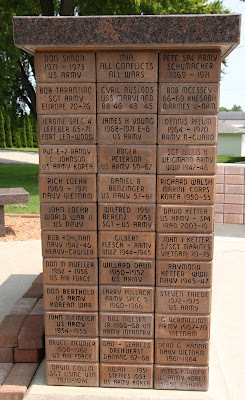 Calvary, Wisconsin 53057. Names on top rim are soldiers KIA. 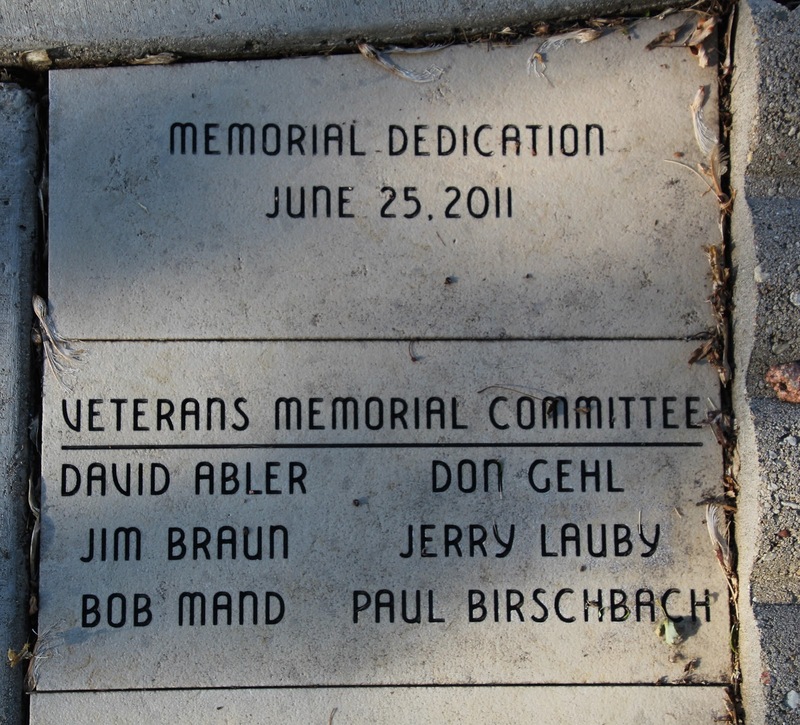 American Legion Abler-Engel Post 454. The memorial is located in Mt. 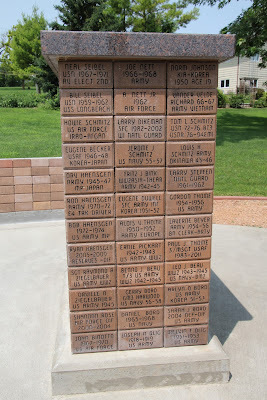 Calvary, Wisconsin.